Tara is bitten by bee stings. Vishwas Rao with Pari and her friends rushes her to Dwarkamayi. Sai treats her in his unique style and asks Vishwas Rao to take her home now. Vishwas Rao seeing marks on Tara’s face asks if she will get well or not. Sai asks him have faith and patience and picking fire stick moves it on Tara. Tara’s marks vanish. Vishwas Rao is amused to see that. Tara sits making her trademark afraid face. Vishwas Rao asks if her pain is vanished. Tara afraidly asks if he will not scold her for going out. Vishwas Rao says he is happy that Sai saved her. He reminisces insulting Sai repeatedly, feels guilty, and apologizes him. Sai gives moral gyaan that children have practical knowledge after getting out of house, running, falling down, etc., nad know what danger is and when to run away or when to face it; but he did not let Tara out of house at all and gain practical knowledge, how will she face problems when he is not around, she does not even know what danger is and when to run; when Tara saw him in Dwarkamayi, she forgot her pain and apologized him, it shows how much she is afraid of her father. He asks Tara if she wants her beauty or wants to enjoy her childhood. Vishwas Rao realizes his mistake and says he will let his daughter grow naturally like other children, let her play, etc.., he became father long ago, but realized his mistake now and will try to become a good father with Sai’s blessings. Keshav returns to Shirdi with Rukmini from his uncle’s house on cart and on the way stops outside British base camp and tells Rukmini that he supplies vegetables here, so he will go and meet organizer once and return home later, she can go home. Rukmini agrees and leaves in cart. Keshav walks in to base camp and greets organizer who gets angry seeing him and scolds that he is too unprofessional. Keshav asks to explain what happened. Organizer says he did not supply vegetables since 15 days and later sent Taya’s employee to inform that he cannot supply vegetables anymore. Keshav says this is impossible. Organizer alleges that he must have got bigger order, so he cancelled his order unprofessionally. A boy Suresh sees his mother busy washing utensils outside house and silently tries to walk out. His mother catches her and scolds not to step out of house before completing his tasks. Suresh says he is tired of doing so many household chores and needs compensation. Mother scolds him. He continues misbehaving with his mother. Sai passes by and stops seeing their argument and suggests Suresh to have patient and faith. Precap: Suresh shows his price list for each job to his mother. Mother complains. Sai says her son’s demand is not different than hers. 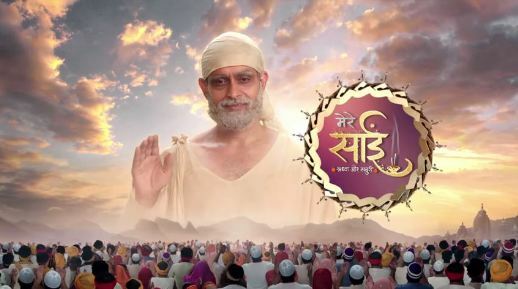 The post Mere Sai 7th March 2019 Written Episode Update: Sai Cures Tara appeared first on Telly Updates.